Company anniversary 70 years of innovation Dr. Walser Dental. Nominated for the "Grand Prix of the medium-sized businesses 2019." Nominated for the German Innovation Award 2019. Honored within Demography Excellence Award 2018. Honored at LEA SME Award 2018. First worldwide online shop german/english without registration. Nominated for the GlobalConnect Award as "Hidden Champion." "Best of 2018" for the Walser® matrix system. Industry Award 2018 title "Qualified" for the Walser Tooth Matrix System. Dental matrices awarded with "Best of" Industry Award for the sixth time. Dr. Walser Dental was honoured again within the LEA-Award for medium-sized businesses. Industry Award 2017 honors Dr. Walser Dental with the title "Qualified." Expodental Meeting Rimini, Dr. Walser Dental is participating for the first time. Television crew at Dr. Walser Dental. Award for the social responsibility of medium-sized businesses: Dr. Walser Dental has been honoured for the 10th time. Awarded with certificate "Best Of" Industry Award 2016. For the first time as exhibitor on the IDEX Dental in Turkey. Participated for the first time as an exhibitor at the Expo Dental in Spain. First, very successful participation at the AEEDC in Dubai. "Oskar of the small and medium-sized businesses", nominated for the 9th time. Awarded with certificate "Best Of" Industry Award 2015. Dr. Walser Dental invited to the award ceremony of the "Grand Prix of the small and medium-sized businesses". New Walser Matrix for last teeth and extra large molars. New and improved Dental Matrix for biplane fillings. New Walser Dental Matrix and rubber dam clamp forceps introduced. Dr. Walser Dental as exhibitor on the IDS 2015 in Cologne/Germany. Dr. Walser Dental awarded for special commitment to the promotion of cultural diversity in the formation. Dr. Walser Dental celebrated 15 years business takeover and may innovations. Dr. Walser Dental chosen among the top 4 of the Demographiy Excellence Award 2014. Dr. Walser Dental for the first time as exhibitor on the GNYDM 2014 in New York/USA. Dr. Walser Dental on the ADF 2014 in Paris/France. Dr. Walser Dental on the ADA 2014 in San Antonio, Texas/USA. Dr. Walser Dental was awarded for social responsibility in Baden-Wurttemberg at the SME Award 2014. "Best of" Industry Award 2014 for Dr. Walser Dental. Dr. Walser Dental as exhibitor at the IDEM Singapore 2014. With the help of the population, Dr. Walser Dental collected hundreds of thousands of stamps for the Kolping Society of Cologne. Introduction of a newly developed display with dental scheme for the fast and reliable determination of the correct Walser sectional matrix. Grand Prix of the small and medium-sized businesses, final round reached for the 7th time. SME Award LEA for social responsibility. Winner at the German Industry Prize 2013. At the world's biggest dental fair, the IDS from 12.-16.3.2013. For the 7th time nominated for "Oskar" of the small and medium sized businesses. Recorded in book industry list of the best. New website of Dr. Walser Dental with new brand presence, new content and additional video files. 65 years innovations Dr. Walser Dental Radolfzell. Grand Prix of the small and medium-sized businesses. Honoured in the new castle in Stuttgart. Industry Prize "Best of 2012". The Dr. Walser Dental collected with the help of the population glasses and stamps for the Third World. Out of over 400 products from 14 industry categories of automotive over biotechnology and medical engineering to suppliers, we were immortalized into the best list in the yearbook Industry Prize 2010/2011 which is available in bookstores. New Walser® matrices- and rubber dam clamp forceps as well as new Walser® model. The greatest success as an exhibitor of the international dental fair in the company history. Nominated for the Industry Prize. SME Award LEA title "Socially committed 2011". Chosen into the top two at the Industry Prize 2011. Prize day "Grand Prix of the small and medium-sized businesses". The company Dr. Walser Dental was immortalized in the best list of the in bookstores available yearbook Industry Prize 2009/2010 of the Huber Verlag Karlsruhe in the category medical engineering. Entry of the Walser® brand for U.S. Patent Office. Caritas and Ministry of Trade and Commerce appreciate social committment. SWR4 reports about Dr. Walser Dental. Furthermore Dr. Walser Dental counts to the top companies in the country and gets nominated for the 4th time in sequence for the "Oskar". Radio station reports about the experiences to the Dr. Walser Dental with school-leavers and interviews Gerhard Daiger on the results of the German industry and chamber of commerce day. Gerhard Daiger is suggested as "encourager of the nation" at Germany's most successful small and medium-sized businesses initiative. Document "socially committed 2010" for Dr. Walser Dental, awarded by the patrons Minister of Trade and Commerce Ernst Pfister and bishop Dr. Gebhard Fürst. Chosen into the top 10 at the Industry Prize 2010 in the category medical engineering. Dr. Walser Dental takes part at "Oskar" prize day 2010. Alone in 2010 40% more applications as a year before at the Dr. Walser Dental. Gerhard R. Daiger takes part as honorary senator in the lending "The Europakreuz in gold", for the former FDP chairman and state minister retd. 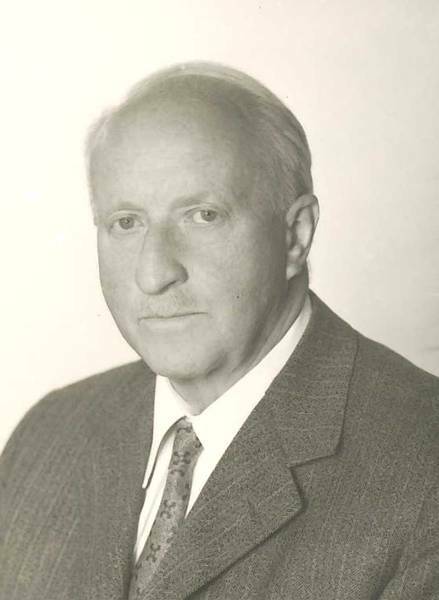 Dr. Wolfgang Gerhardt. Presentation of the newly developed matrices for ending permanent teeth and extra big molars and the cost calculator on the IDS 2009. Elected to the top 100 products in the USA. Honoured by Minister of Trade and Commerce and Caritas for social responsibility. "Oskar" nomination for the 3rd time in sequence. Chancellor Dr Angela Merkel congratulates, Gerhard Daiger gets honorary senator dignity and Dr. Walser Dental gets awarded as the first manufacturer for dental instruments with the popular economy price "Goldjupiter". The managing director of the Dr. Walser Dental, Gerhard R. Daiger becomes honoured by the prime minister of the country Baden-Wurttemberg. Dr. Walser Dental GmbH was honoured for the Industry Prize 2008 in the category medical engineering. World champion congratulates the Dr. Walser Dental, who is honoured for the second time with the document "participant SME Award 2008 for social responsibility in Baden Württemberg". The Dr. Walser Dental GmbH was suggested award worthily from an official institution out of the over three million companies in Germany and got nominated for the "Oskar". The largest donation by the Dr. Walser Dental for the worldwide unique dental museum. Dr. Walser Dental sponsors high tech tinkerer smithy. For the first time in the company history the Dr. Walser Dental GmbH trains apprentices. Conquered the USA despite economic crisis. 60 years innovation Dr. Walser Dental Radolfzell. Dr. Walser Dental nominated for the "Oskar" of the small and medium-sized businesses. Dr. Walser Dental among the top 3 of the "International Best Factory award". Ministers of Trade and Commerce Pfister and bishop Dr. Fürst honour Dr. Walser Dental for social responsibility. Dr. Walser Dental once more gets the prize Top 100 - innovator in the German small and medium-sized businesses for outstanding innovations. Through this the company was confirmed in the elite of the German economy and furthermore belongs to the most innovative companies in the German small and medium-sized businesses. Gerhard R. Daiger, the managing director of the Dr. Walser Dental got a document for the successful participation in the competition, "Echt gut! Ehrenamt in Baden-Wurttemberg 2007". For outstanding innovations Dr. Walser Dental gets the Top 100 Award - outstanding innovator of the German small and medium-sized businesses. Complete website relaunch, i. e. revision and new conception as well as the basic revision of the visual represantation. Introduction of a new developed Walser demo-model. Production of a DVD-user movie in 5 languages, also for the homepage. Development of a new rubber dam clamp and matrix forceps. Official activation of the homepage Dr. Walser Dental GmbH in German and English. Two weeks later, activation in 5 languages. Move within the industrial area north. Since that time, the company is located at Fritz-Reichle-Ring 18 Radolfzell. Development of two new matrices for very deep caries at one side. The company moves into the industrial area north in Radolfzell. Company take-over of Dr. Walser Dental GmbH by Gerhard R. Daiger. For the first time in the history of the company, after 51 years, the company is no longer managed by a family member. After the death of Dr. Gerhard Walser, his wife, Ursula Walser, carried on business. Company’s name changed into Dr. Walser Dental GmbH. After the death of the founder of the company his son Dr. Gerhard Walser (dentist) carried on business. Dr. J. Walser Dentalfabrikation moved to Teggingerstr. 14a in Radolfzell. Invention of the Walser Matrix with Walser Matrix forceps. Since that time permanently further development of the Matrix system. On 20/04/1948 Foundation of the Dr. J. Walser Dentalfabrikation at Fürstenbergstr. 14 in Radolfzell through the dentist Dr. Julius Walser.